Maybe you’re on a team that has been tasked with selecting a VDI provider. Or, maybe you’re in charge of the budget and are wondering what virtual desktop infrastructure can do for your company. Whether you understand the gist of VDI, or you’ve never heard of it before, this article will bring you up to speed on the subject — fast. Virtual desktop infrastructure (VDI) refers to computer virtualization architecture that allows you to virtualize users’ desktops. While virtualized servers do not require such interaction, virtualized desktops need to interact directly with end users. Therefore, VDI requires a larger collection of technical tools to deliver the virtualized desktop, and to create, host, and manage virtual machines. Server virtualization has become more mainstream, prompting businesses to study whether other related technologies could improve their efficiency, too. These companies are naturally looking into desktop virtualization since it shares many similarities with server virtualization. To understand VDI, it helps to have an idea of how server virtualization — and virtualization itself — works. With server virtualization, the server’s information (its operating system, configuration files, applications, and other data stored on the drive) is converted to a file, which is called a disk image. Virtualization software creates an environment called a virtual machine (VM) to simulate a server’s hardware and to execute the disk image. So, the VM acts just like a physical server. Since virtualization software can execute multiple VMs simultaneously, a single physical server (called the host system) can run several servers within it — each of these servers is called a guest. Like server virtualization, VDI operates with a system of guests. But, these guests are desktop operating systems instead of servers. The system can be set up in a number of ways — the VDI may involve a user’s laptop; a central, back-end computer may host users’ VMs, providing a mechanism for them to connect to their virtualized computers; or other arrangements. VDIs can also take a hybrid approach; since disk images are files, a system can be created in which a centralized server hosts VMs while employees are in the office, but each user can also run the system on a laptop. One of the major benefits of centrally hosted VDI is hardware consolidation. If you are familiar with server virtualization, then you know the cost savings associated with such consolidation. With VDI, you will no longer need to buy fully functional computers for each of your staff members. You can plan for overall usage on the server that hosts your employees’ VMs. You can also consolidate on overall storage and CPU power and RAM for added cost savings. 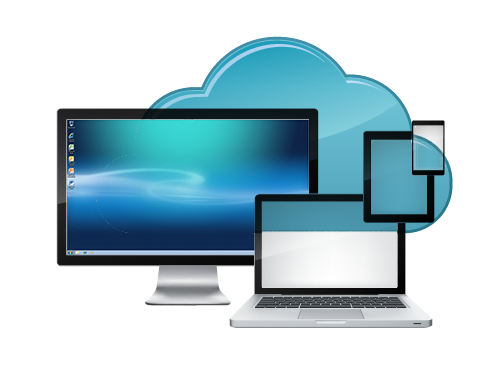 For more details about the benefits of VDI, click here. Previous Can VoIP Save Your Company Money?